Skip the oven and steam the custard pudding on the stove top! In 10 minutes, you have a soft, rich, creamy Japanese Custard Pudding that will impress your dinner guests or wow your family. The Japanese love Custard Pudding! 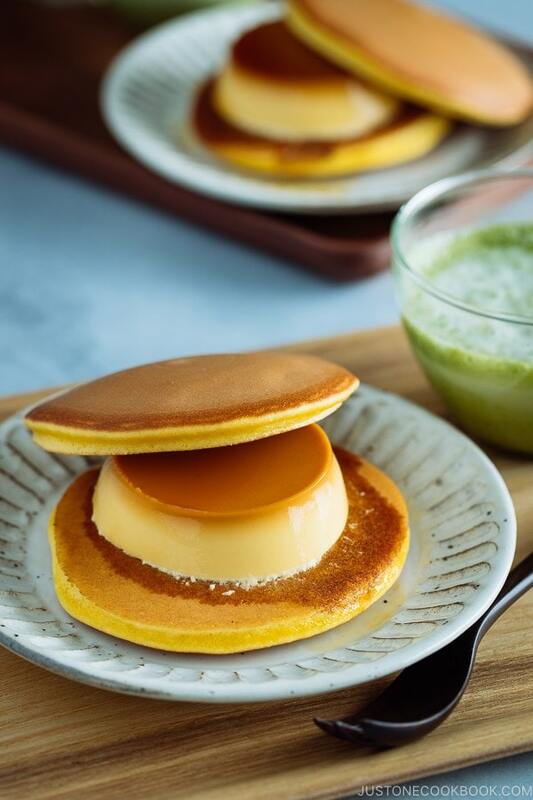 We call it “Purin” (プリン) and you will find this custard pudding throughout Japan in bakeries, pastry shops, supermarkets and convenience stores. 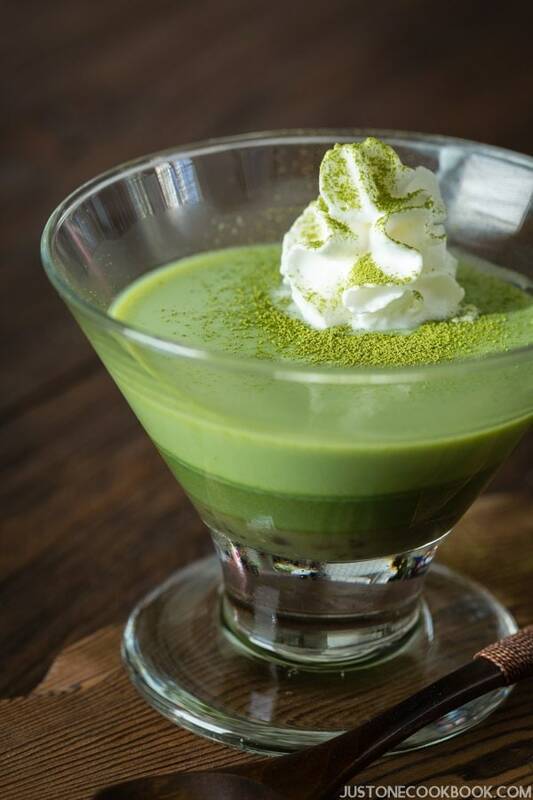 There are many flavors of custard pudding in Japan, ranging from chocolate to pumpkin to green tea. I want to share with you an easy way to make custard pudding at home. 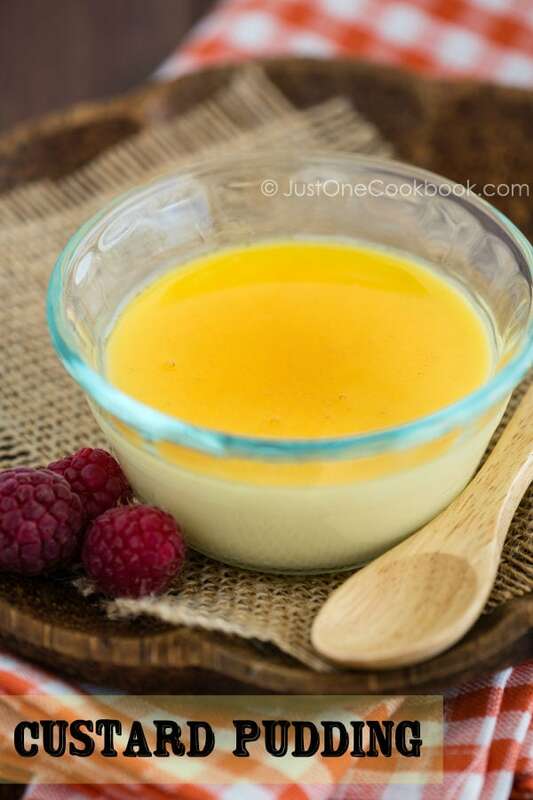 I previously posted a no-bake/no-steam Crème Caramel, but that recipe is more tedious, and I know many of you are looking for a quick custard pudding recipe that is just as delicious. Today’s custard pudding recipe is SUPER easy, and when I say easy, I really mean it. It doesn’t take much time to prepare and tastes heavenly. This is a great homemade dessert to impress your guests for dinner parties, or as a surprise for your family. You won’t believe how simple it is until you make it. Just mix the ingredients, steam, refrigerate, and enjoy the custard pudding! How to Steam Custard Pudding on a Stove Top? Whether custard pudding is baked or steamed, it is referred to as Purin in Japan. 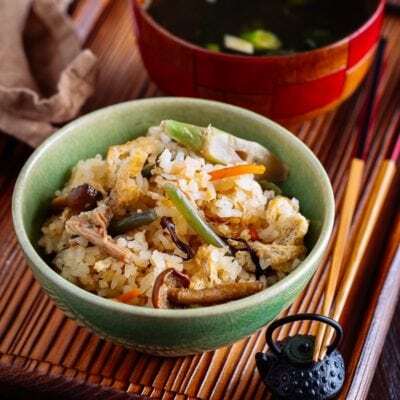 The steamed version – cooked on a stove top in a steamer or in a blain-marie in a pot or frying pan – is specifically named Mushi Pudding (蒸しプリン). 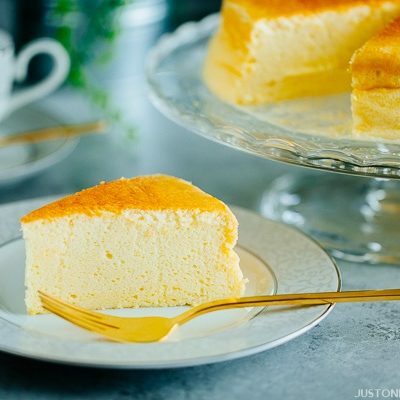 This steamed custard pudding recipe happens to be one of my family’s favorite desserts, so I make this quite often and can guarantee it is easy to make. Japanese households generally do not have ovens, so to make custard pudding at home, we love to steam it on the stove top. To steam custard pudding, you simply combine eggs, sugar, milk, and vanilla, pour into individual ramekins, add them into a deep skillet with a water base, cover to steam for 10 minutes, and that’s it! A custard pudding recipe without an oven. You can keep it that quick for a basic custard pudding, or follow a few more steps below to make a caramel sauce for a steamed version of Crème Caramel. Cover the lid with kitchen cloth to prevent the water dripping onto custard pudding from condensation. Fill the large skillet with water about 1 inch height and start boiling water. 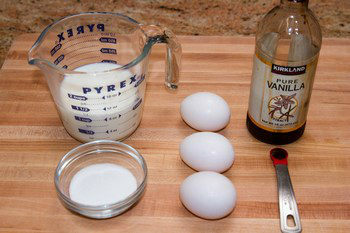 Combine eggs and sugar in a medium bowl and whisk very well. Add milk and vanilla and whisk all together. Run the mixture through a fine sieve and divide the mixture into individual ramekins. Once water is boiling, turn the heat to low and place the ramekins into the skillet gently. Cover with the lid and steam the custard pudding for 10 minutes. Turn off the heat but do not open the lid. Steam with remaining heat for another 10 minutes. After 10 minutes, let it cool on wire rack. When it’s room temperature, move to refrigerator to chill, for about 2-3 hours. Before serving, make caramel sauce. Place 3 Tbsp. water and sugar in a small saucepan over medium low heat and stir until sugar has dissolved. 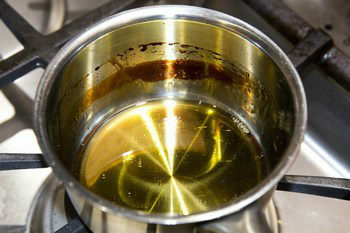 When sugar has dissolved, increase the heat to high and swirl the saucepan once in awhile to caramelize evenly. The mixture will start to bubble. It will take some time for the mixture to turn from a light amber color to a dark amber color. When the mixture turns to a desired brown color, add 1 ½ Tbsp. water. The mixture will bubble vigorously, so be careful. Whisk the mixture and turn off the heat. Set aside to cool completely. If the caramel is too hard after cooling, reheat it and add more water. Pour the caramel sauce over the custard pudding and serve. i love custard! this looks delish! Hi Nami, I love your recipes, but I have a question? How long in the fridge does the custard need to be? 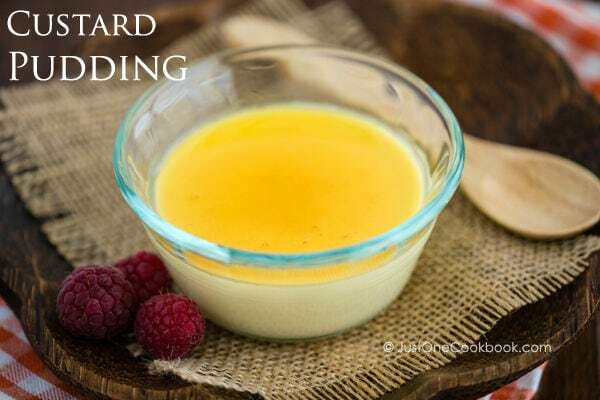 I love custard pudding and thank you for sharing this easy recipe. Thanks for sharing this recipe! The custard reminds me a little of the filling in Chinese egg tarts (ironic because when I was little, I would only eat the filling and not the crust of the tarts). I’ve been thinking of making something sweet and delicious this weekend, and this might just be it! Oh funny how the universe works! 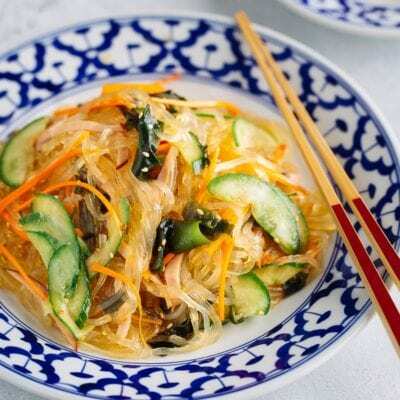 A Japanese friend and I had these for tea yesterday, and we were lamenting how neither of us knew how to make them because they were gooooooood. Thanks for sharing! I have to try this! It looks delicious Nami, thanks! Whaaattt?! 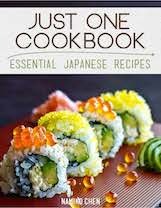 Nami going to try this one this weekend!! BF is coming out of town and I’ve been practicing your recipes to make for him! Lol. This will top it all! I love custard too! that looks so simple and delicious. brilliant recipe, Nami. Help me! That looks SO good, Nami! I’d love to pile that between two cake layers and have at it! I love purin!!! I just posted purin recipe on my blog a few weeks ago but after looking at this I MUST make it again. I like the idea of pour the caramel sauce over the prin. This looks super good! 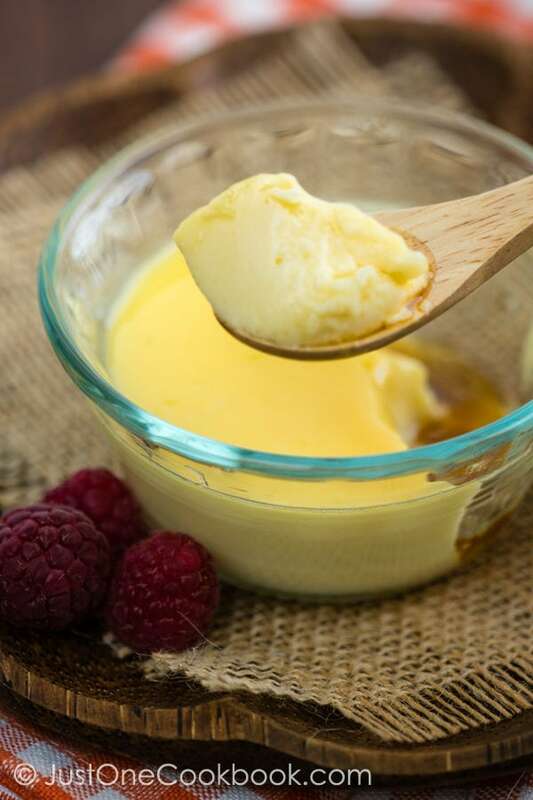 Nami: Custards are one of my fav dessert groups because their delightful creamy texture. Yours is definitely screaming my name. 🙂 And I am pinning it. Have a happy Mother’s Day! Wow! We love this custard pudding when we eat out. Nice to know I can make it at home following your recipe. This is great. Thanks for sharing and carefully showing the step by step. Have a great Mother’s Day , Nami ! 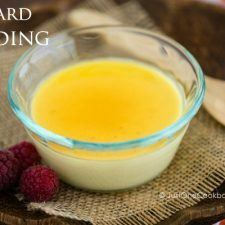 I love plain custard and it is my all time favorite…this looks very creamy and delicious Nami. Just looking at the recipe for Custard Pudding and it reminded me of my first trip to Japan where I discovered ” Choux Cream” pastries.I liked them so much I brought some home to share.They reminded me of Profiteroles. Have you ever made these ? Nami-san, This ‘purin’ looks really good. I will try it tonight for dessert. I’m sure my boys will be reminded of all the great custards they had in Japan! While I’d be tempted to eat the caramel all by itself, that custard looks so smooth and silky, I know I’d devour every bite of it too. It’s absolutely gorgeous. 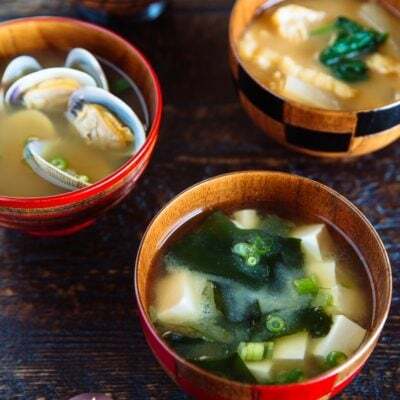 Hi Nami – I am not kidding…I am getting ready to make something very similar for tonight! I made egg custards, which is basically what your base it, without the caramel. It is the ultimate comfort food and something I make all the time, especially to use up some extra whole milk! I bake mine in the oven but in a water bath so it’s somewhat mimics steaming. It is so delicious! Your custard sounds so easy to prepare and I’m sure it is terrific. Custard is such good stuff! And you do it right. Exceptionally clear and thorough instructions. Love the second picture! Good post – thanks. This custard pudding with vanilla looks absolutely wonderful! I smiled when I read that you were eating custard pudding more frequently than eating cookies when you were little! And I bet this pudding can be quite versatile with other flavor additions. This is so delicate and lovely looking Nami. I love the subtlety of Japanese desserts (made my first Japanese cheesecake the other day… so good!). We have something like this that we call “flan” but of course we make it in the oven. 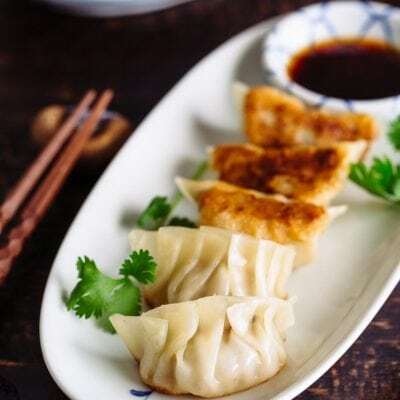 It’s so easy to prepare and the option to make it steamed sounds great. Your custard looks so creamy and delicious, Nami! I love the caramel sauce :). How easy is that?? It sounds wonderful, Nami, and I can understand why it’s your family’s favorite! G’day and WOW! Looks so simple, easy to do! Love the step by step photos and now steaming a dessert thanks to you is on my list to do! Oh, what an amazing dessert, Nami! 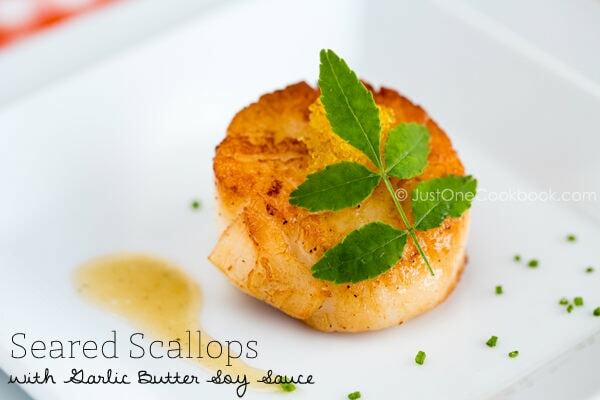 So simple, yet elegant and delicious! Beautifully done, my friend. That custard looks like a perfectly sweet treat! This is such a lovely dessert! The caramel sauce is perfect and it would be so good with fresh fruit on top! This reminds me of my mom’s flan. Makes me kind of sentimental. Will have to try this! I love all the velvety custard puddings that you get in Japan, I could eat them every day without getting tired. And I like the steaming idea over the stove :-). I just made these, and they’re great! Thanks for the recipe, great as usual. Hi Rae! Thank you for trying this recipe already! I’m so glad you liked it! Thanks for the feedback! What a perfect dessert Nami. awwwwww! m loving it!! !thanks 4 posting ma all tym fav dish!! i’ve never sieved my custard before, just using my processor and then i discard the bubble in the surface…..
perfect caramel too, i guess if you just simplytoarched it..
btw, why you let the custard colled in the steamer??? Thanks for your response! I never had the “landslide” problem maybe because I don’t make a big size and usually use smaller ramekins? To me, it’s important to have silky and smooth texture when I eat it. The bubbles are usually created by cooking strong heat or overcooking usually ruin the texture. Sorry I didn’t understand the last question. Did you mean why I cook in a steamer instead of oven? If that’s your question, I wanted to make an easier egg custard recipe using frying pan (like steamed cake) instead of using an oven and wanted to make a quicker recipe than my original method which takes more time (recipe: https://www.justonecookbook.com/recipes/creme-caramel-purin/). why you let the custard still on the steamer after you turn off the heat Nami??? Nami this custard look amazing I love it!! I am sucker for custards, and yours look so, so good! I hope you will have happy and relaxing Mother’s Day! I LOVE the custard buns I get at the Asian bakeries here, I can’t believe how easy it is to make the custard filling. I definitely need to try this. Steamed egg is one the great Asian delights. I love it sweet or savoury, for a treat sometimes we make it with coconut milk or water, then pour over a palm sugar syrup. Have you tried making this with flavoured milk? I highly recommend you try it. This recipe is very similar to our leche flan only we add condensed milk. I love custard pudding… who doesn’t? haha. Happy Mother’s Day Nami. I hope you enjoy your day with the kids and hubs! Nami, it’s such a clever idea! I have been doing very similar French custard creams, but without caramel (I have posted one with matcha I think) and it included a hot water bath in the oven. I have never thought of using a frying pan! It’s so much easier and quicker! I had no idea such a cream was popular in Japan (although I did hear about purin). Thank you for such a wonderful idea! Hi Nami, this looks like a lovely dessert, and you’re right – not too difficult or time consuming at all. Thank you so much for the tip about putting a cloth under the lid of the pan to stop water dripping onto the pudding. It’s one of these things which annoys you when you cook but you’d never think to do such a think until you heard about such an idea – thanks! This is a delicious and super easy to prepare recipe! We call this leche flan but the caramel sits at the bottom of the mold. Am mad about this. There is no other dessert that is more comforting. That looks so good! Wow, this is indeed a super simple recipe. I never realised making custard pudding can be this simple & quick! I’m definitely going to try this recipe. 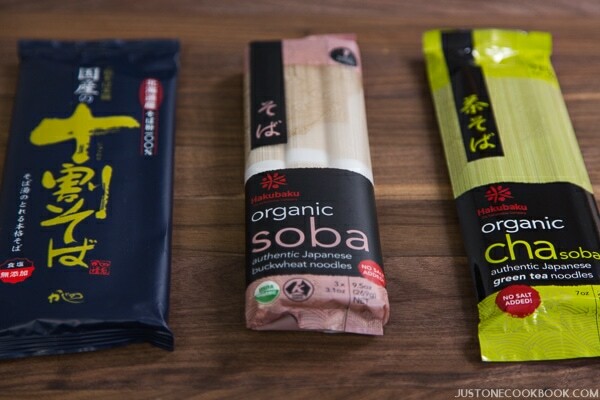 So I saw this, and thought “hm, I’ve seen this before, sold at the local Mitsuwa for like $1 per serving. Figured I’d give it a shot. 1. It was VERY easy to make, as advertised! This is the easier cousin of creme caramel! Inverting the ramekins always give me the jitters. This, on the other hand, is so much simpler. Reckon I can do a larger bowl of this and still not over cook it? Hi Jayne! You can use a larger bowl, but instead of trying the biggest bowl first, try increasing the size for perfect cooking timing. Make sure to use low heat all the way so that the custard doesn’t have bubbles inside (that will ruin the texture when you eat). Hope that helps! Thanks for your reply, Nami. I’ll try to figure this out. 🙂 Might end up using small soup bowls for ease of serving. Nami, I love your steamed custard pudding recipe – as you so aptly pointed out, it seems easy enough yet so very delicious – the kids would absolutely love this for dessert this week – the steaming method is really wonderful and healthy and you do such a nice job of explaining everything so clearly and making it look like such a breeze to prepare! Wonderful! This is similar to our Filipino leche flan so I know that this would taste fantastic. Lovely dessert, highly recommended to everyone. Your custard pudding look easy to prepare and sound great ! 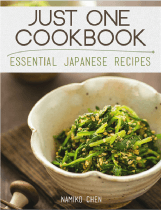 This sounds great, I like your green tea pudding recipe and this one looks lovely too. A delightful pudding! Custard tastes so good. 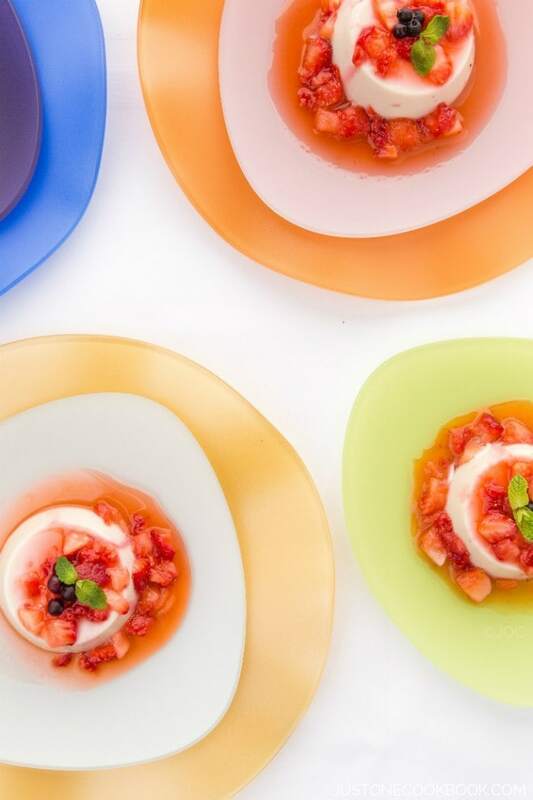 Lovely pudding for spring and summer entertaining, Nami! It looks so easy and delicious. I would love mine with a pile of fresh berries on top! Hi Nami! This quick easy to make recipe is great. My wife loves when I make this for her when she is craving for any type of custard. I usually just make the custard steamed like you did but never tried making caramel sauce so that is something I look forward to trying with it. I can already imagine it to be delicious. Amazing! Now can you please pass me a spoon? Ooo Nami this is indeed easy, I will have to try this one soon too. So much to try so little time. Very refreshing and inviting pudding Nami! It is exactly what I would love to have in front of me right now! Okay, you are right. This looks easy! I love adding a custard like this to my cake with fresh berries. And this custard looks very creamy without having to stand there and stir it during the entire cooking time. I’m sold! This is very easy to make. I had a chocolate flavored custard pudding recently. It was great! I definitely would love to make my own. Thanks, Nami! I made this last evening. I couldn’t believe how easy this was! 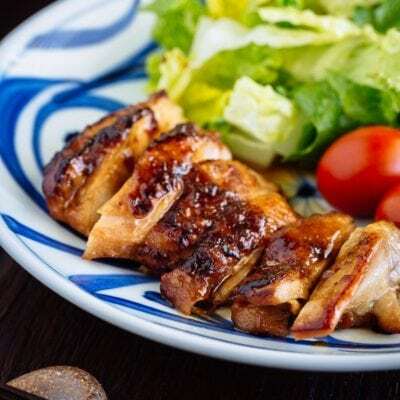 Delicious – everyone in my family enjoyed it. This looks like a great blank canvas for flavors, how fun! And I’m loving the photos of the cooking process, they’re quite helpful- thanks! Have to try this version of pudding. It is one of my favorite dessert! I love custardy desserts! I can’t wait to try this Purin! I grew up eating something very similar but it was baked in a water bath, must try the steaming method! This reminds me of egg tarts without crust! looks so delicious! I should give this a try because my boys always eat egg tarts and leave the crust behind! Yum! I’m also thinking this is a good recipe to have around those hot summer days, when you want something sweet but don’t want to turn on the oven. This custard looks so delicious and it must be much lower fat than normal custards made with just milk and no cream! Hi Nami! I made this today and it was soooo good! 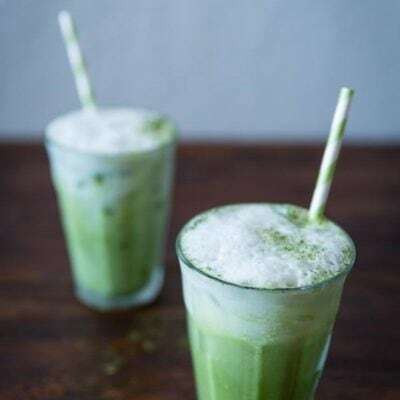 The fact that it is so simple to make with ingredients I always have is dangerous 🙂 . Thank you. I don’t know if you saw, but I made your purin again too, for Kodomo no hi. Everyone is always impressed how authentic it tastes. Can I substitute the milk with vanilla soy milk as my husband is lactose intolerant? Oh my gosh…i have been looking around for a Japanese custard pudding recipe for ages! I`m so happy I finally found one! Custard is my favorite and can eat it any time of the day. Your preparation looks simple and tasty! Tried this recipe, but it turned out pretty bad!! Not sure what I did wrong, but it tasted as though the custard was too overcooked? Not sure but there seemed to be bubbles in the custard. Also, even though I’m not a big fan of sweets, or really anything sweet, it tasted like it needed way more sugar than it called for. Made it for a potluck, and even though the outside looked correct, the flavor was horrid!! Not even I was able to finish a ramekin. May have to try it again with more sugar and less cooking time. Any suggestions/comments as to what may have gone wrong? I was expecting more of a flan flavor and consistency. I’m sorry to hear it didn’t go well. I just want to check if you added caramel… with caramel, it’s a perfect amount of sweetness. But it’s “Asian” sweet level so it’s not as sweet as American sweets, for example. 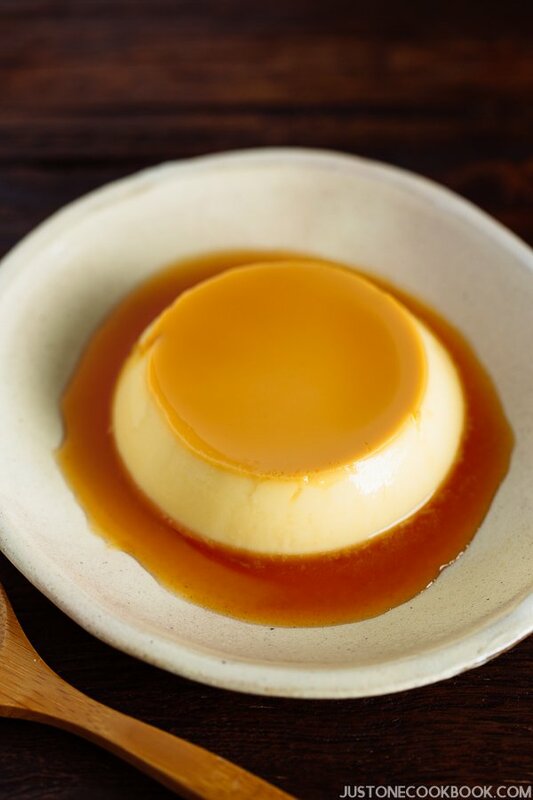 This is a “quick” version, and usually the caramel is under the custard and we flip (see my recipe here: https://www.justonecookbook.com/recipes/creme-caramel-purin/). This version is a short cut version so you have to pour the caramel on top to save time. My caramel recipe is pretty standard, and it should be sweet. Therefore, egg custard is not sweet enough if you are eating it by itself. If both are sweet, it’s way too sweet for Asian dessert standard. Hope that makes sense. The bubble you talked about is from overcook and strong heat. The heat has to be low for 10 minutes. Now if your custard is less amount than mine (in the picture), you have to cook less. Otherwise it’ll be overcooked. If it wasn’t silky texture, it was probably overcooked. Make sure the heat is low and adjust the cook time according to your ramekin size. Hi, I’ve tried your custard pudding recipe twice as it looked quite easy. However, not sure if I missed out anything as the texture of the pudding isn’t correct. It is not smooth like pudding and doesn’t taste like pudding – it tastes more like steamed egg. And you can see “bubbles” in it and the surface is not smooth. Wondering if I had whisked the eggs and sugar too much? Or the heat when steaming is too strong? Would appreciate if you could give me some suggestions on how to get the texture right 🙂 Thanks! Hi Michele! First of all, from your description (“bubbles” and “steamed egg”), I can tell the heat is too strong. You get bubbles when the heat is too strong or over cook the custard. My ramekin is glass so you can tell the texture of the pudding is very silky and smooth. It should be like that. Also the material of ramekin and amount of your custard matters for the cooking time. Please adjust cooking time accordingly. I do not think over-mixing matters for the texture. You can stop whisking when everything is combined well, then run the mixture through a fine sieve. Thank you for trying this recipe twice. Hope changing cooking time and heat will help next time! I have the same problem. In addition, when I open the lid 10 minutes after turning off the heat, the custard collapsed T_T. I’m still figuring how to use the induction oven. I’ve made custard many times before with success, but I steamed them in the oven. I always wanted to make this custard pudding and lately I found your recipe and brought the finished pudding to a potluck event. It was wonderful! Thank you for sharing this with us! Thanks for sharing. But can I use chawanmushi cup with the lid to steam this? Or the cup must be open ? Hi Jole! Yes, you can use chawanmushi cup for this dessert. However, I am trying to figure out whether you should close the chawanmushi lid or not. I would suggest not to cover, because I don’t cover to make pudding (but I do cover the frying pan with a lid). I know it’s NOT necessary to cover the pudding cup…but don’t have good reason why we don’t need to cover it while we do cover chawanmushi cup… Only reason that I can think of is that we have to cook chicken etc in chawanmushi and it will cook faster if the lid is on… I’m sorry I’m not so helpful here… You can try with the lid on to see if there is any difference. 🙂 Thanks for the great question! Today i make this using chawanmushi cup and cover the lid, the result is the same. Smooth custard. I used the portion of your chawanmushi recipe. 1 egg with 1/2cup of milk and it turn out great. But I only steam for 6-7min as my cup is smaller. Hi Jole! You’re so kind to stop by again to let me know. THANK YOU!! I’m glad to hear the mystery was solved. So both results are the same. 🙂 Hope you enjoyed this pudding! what type of milk do you use? Hi April! Whole milk will make the dessert rich, but reduce fat (2%) milk is okay too! Hi Abdul! Did you wrap the lid with towel? Water shouldn’t go into the pudding as towel will prevent. The texture should be smooth and silky. Maybe your heat was too strong if the texture is boiled egg. This recipe is a quick version and if you don’t mind taking a longer time to make, I’d recommend this one. The flavor is similar but texture is much smoother and refined. Hi Bianca! Sure! Since you mentioned that it’s your first time making caramel from scratch, I’ll give you a little advice. Don’t be scared when you add water to the mixture (Step 9). It might give you a big splash with noise. When I first made it long time ago, I had no idea what I’m doing and I was a little bit surprise. So just giving heads up, so you know what to expect. great desert!!!! i wanna try a desert all by myself without mom finding out and this is perfect!! Can I substitute the vanilla essence with vanilla powder? Hi Kevin! I had never heard of vanilla powder till now and found this article where people discussing about vanilla powder vs. vanilla extract. hello!! I have been searching for a recipe to try and replicate something I ate at a Chinese buffet recently. It was a dessert in a baked wonton wrapper and it was labeled “pineapple tart”! I can’t stop craving it! Do you think this custard is similar? If so, how can I incorporate the pineapple into it? I’ve gotta have it!!! LoL!! Thanks! Mine did not set up,followed recipe accurately,will give it another 10 mins.or more. I tried this recipe, the puddings turned out well, flavor was good, but the texture was not like the puddings I’ve had in Japan, it was not as smooth. Nami do you have an idea on what could have caused this? Hi Diana! 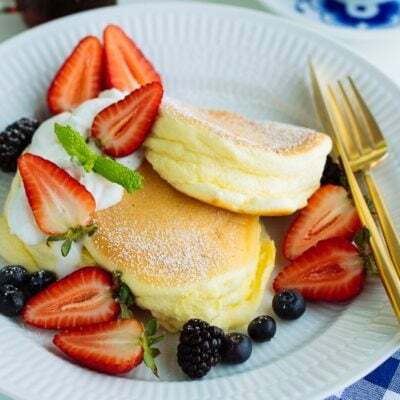 This is a quick pudding, and lack of those smooth texture, if you are looking for the particular Japanese pudding recipe, please try this one. How if I add lemon to sugar and water so it will not crystallize and so I can skip the the 10th step. Will it change the flavour? This pudding is Yum, Yum Yum and so easy to make. I do not have individual ramekins so used 1.8l pyrex dish. Cooked for 40 minutes, worked well. Hi Heather! Thank you so much for your kind feedback and letting us know the large ramekin version! I’m sure many JOC readers think your tip is very helpful! Thank you!!! I tried it, but it had a very eggy taste. Anything I could do to fix it? can i use honey instead of sugar for making the custard itself ? Didn’t realize I had to click to show the comments! Just saw the answer to my question: heat was too high. Oh well. Guess I’ll have to try again! Hi Nicky! Oops, sorry I typed your name wrong earlier. Sorry I didn’t see your other comment. Oh so the heat was too strong. Make sure to cook with “gentle” heat. 🙂 Hope next batch will come out well! Hi Nicjy! From your description, it sounds like the heat was too strong. It’s edible but the texture may not be silky. Hello, I tried this recipe and followed all the steps, but my pudding is still liquid! What am I doing wrong? Hi Katherine! Maybe the steaming wasn’t properly done since you mentioned it’s still liquid. Was the steamer lid was properly closed? I’d like to know the steaming setup. Can i put the pudding in the freezer? Thank you for your custard recipe.I will be trying it out today. Let’s see how impressed my guests are going to be. Hi! I was wondering if it would be possible to replace the whole milk with almond milk? I want to make it. . .it looks delicious! When I tried making this custard it didn’t cook through at all! I was a bit disappointed but I cooked it for an extra 10 minutes and it came out perfectly. The same thing happened when I made mushipan so I think something is wrong with my stove lol. I can’t wait to try the custard later though because it smells and looks fantastic! Anyway, I would like to make this purin but I’m wondering if I can use 2% milk? That’s usually what we have at home. Should I buy full-fat? Hi Mariyam! 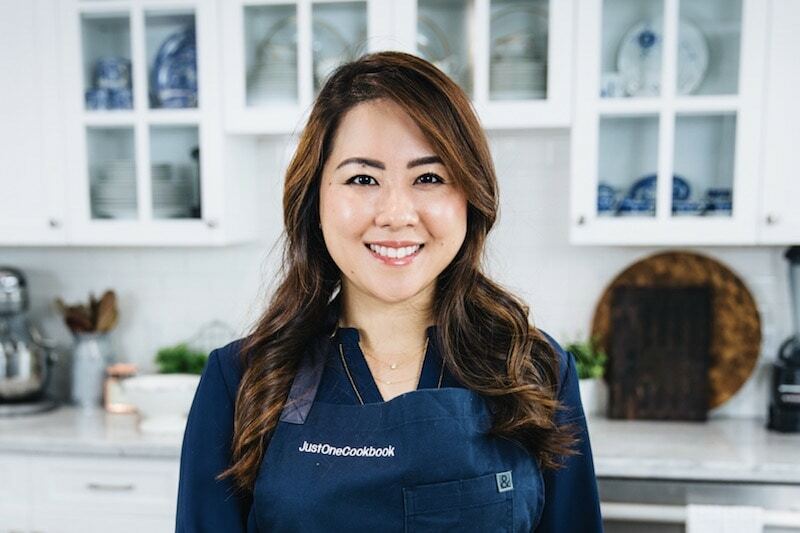 Thank you so much for trying my recipes and I’m so glad you enjoyed them. 🙂 You can use 2% milk, less rich, but I don’t think it’s that noticeable. Hope you enjoy the recipe!